Hostmysite.com :: How do I forward my email to another address? The following article explains how to forward your email to another address. The email is first received in your inbox and then a copy is sent to a specified address. 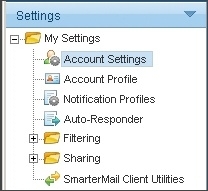 The original email remains in your inbox, unless you instruct SmarterMail to delete the message. On the Forwarding tab, enter the forwarding address. If you are forwarding to more than one address, use a comma to separate the addresses. For example: user1@yourdomain.com, user2@yourdomain.com, user3@yourdomain.com. 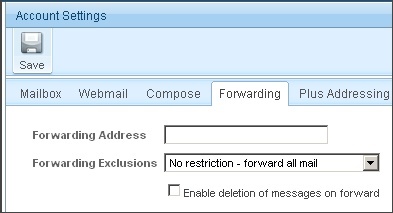 If you want to have the messages deleted after they are forwarded, check Enable deletion of messages on forward (otherwise a copy of the message will remain on the mail server).